This second contribution to the Handbooks for Old Testament Exegesis series continues the admirable tradition set by Robert B. Chisholm Jr. in Interpreting the Historical Books. 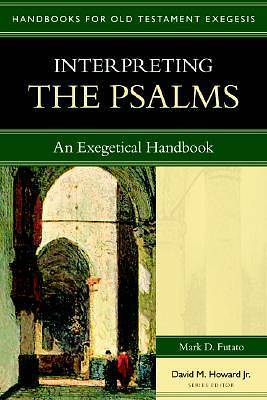 A valuable resource for pastors and students, Interpreting the Psalms begins by explaining the nature of Hebrew poetry and the purpose of the Psalms. An accomplished scholar of the Psalms, Mark Futato next explores issues related to properly interpreting Israel's songbook, and concludes with a sample of moving from interpretation to proclamation. A glossary is included.